Bathroom Vanities and Accessories Design and Tips | DecorPlanet.com Blog: Do you really need a toilet that flushes? Do you really need a toilet that flushes? Many people embark on bathroom renovation projects to turn outdated spaces into functional and beautiful rooms. These bathrooms often include amenities that are certainly not must-have items in a modern bathroom, such as steam showers, whirlpool bathtubs and heated floors. Other things, like a working bath or shower, properly functioning sink and a toilet that flushes, cannot be eliminated. Or can they? A new study conducted by the London Science Museum has revealed that many British people would prefer to live without a flushing toilet than to have to give up the social networking website Facebook. According to the Daily Mail, Facebook ranked fifth on the list of things people in the UK said they couldn't live without. Sunshine was ranked first, the internet second, clean water third and a refrigerator fourth. 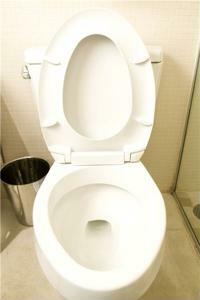 A functioning, flushing toilet ranked ninth on the survey of 3,000 British adults. While the study certainly shows the popularity of the website in the UK, it raises the question of whether Americans would answer similarly. With an increasing trend toward creating spa-like bathroom retreats at home, odds are many Americans would have to rank a functioning, flushable toilet above a website.